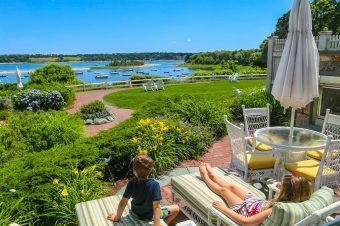 If you live in New England, particularly the Boston area, one of the perks some people enjoy is a second home on Cape Cod, or at least friends who have great homes on Cape Cod. Yet what if your Rolodex fails you, and you still long for your own house next to one of the best beaches on the Cape? Then the Mansion at Ocean Edge Resort will become your favorite contact. Check your dates for rates. To say the Ocean Edge Resort is large is an understatement, and you’ll need a bit of orientation to learn just how big the resort is and how much there is to do. Guests have three categories of accommodations: the historic mansion, the villas on the mansion side, and the Villages on the golf course across the road. The Villages are the budget option (well, “budget” is a relative term, of course) and do not include access to the resort’s private beach. Instead, the Village guests can purchase permits through the resort for other local beaches, to which they will shuttle you. But on the mansion side, with additional amenities, guests can choose from traditional hotel rooms to three-bedroom, oceanfront villas. We stayed in a two-bedroom villa within the Presidential Bay Collection. We were opposite a swimming pool, tennis courts, and a short walk to both the mansion and to the beach path. 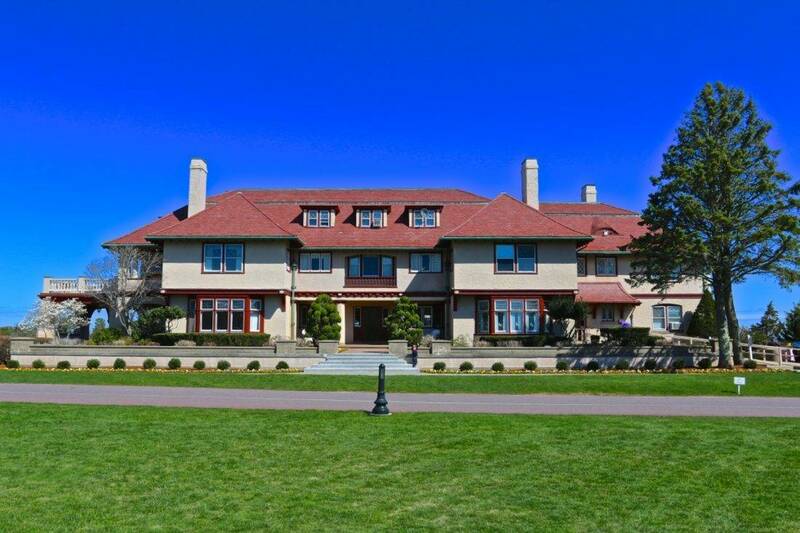 The mansion was built in 1890 as the summer home for the Nickersons, who developed their summer escape on a turkey farm. It has been a resort since 1980. The former billiard room is now guest reception. A beautiful new terrace overlooking the ocean blends in well with the original structure. Our villa had a lovely master suite with its own bath, a second queen bathroom, and a sleeper sofa in the living room to fit a family of six easily, though those in the living room will be up early with the skylights. The décor was colorful and fun, except for the dated fabric on the curtains. Someone had a great time on One Kings Lane, buying up silk peacock pillows, rainbow pottery, and floral bolsters. I travel a lot, and I have to say that the robes and bed linens were some of the most luxurious feeling I have ever used. I even looked up the robe brand to buy one online for myself. The bathrooms were stocked with Tommy Bahamas toiletries, and I was delighted to see a washer and dryer to clean the kid’s clothes before heading home. If you are more of a room service person, wanting more hands-on service from a luxury resort, stay inside the Mansion, though it only offers room service from Memorial Day until Labor Day. If I had known how nice the kitchen in our unit was, I would have packed bags of groceries. The kitchen had everything, including special touches like a wine refrigerator and high-end cooking utensils. With the outdoor seating on our decks amidst the trees, I could taste the steak, corn on the cob, sliced tomato dinners our family eats outside in the summers. Bathrooms stocked with Tommy Bahamas toiletries. Patios at the Presidential Bay Collection have water and forest views. Not wanting to check out and leave. The action of the resort certainly starts at the Mansion each morning at a wonderful breakfast buffet. Guests sit in the original library of the home, surrounded by antique books and photographs. A more casual option is the coffee shop that serves bagels and breakfast and soups and sandwiches for the rest of the day. It’s worth a trip because the resort store She Sells is in the same building. The wonderful resort wear collection includes well-knowns like Gretchen Scott and Cabana Life and local labels like ARTichoke that integrate the Cape Cod silhouette playfully on tees or in jewelry. The library with some of the family’s original books. The Ocean Edge coffee shop. She Sells has a wonderful resort collection to browse. There are lots of young couples around because the resort is a prime wedding location for the Cape, especially on June weekends. My children and I were playing outside the main building one morning and I overheard a Face Time conversation with the resort wedding planner showing the bride the front lawn. I got the full scoop on each wedding venue on resort property, so let me know if I can help. Daytime activities are numerous, including lots of summer and school vacation options for kids. Our visit was before the summer action kicked in, but we still enjoyed a super hero cape-making fashion show and other games. During the July and August peak season, there are kids programs offered for half or full day from ages 4 and up that include, swimming, crafts, and games. There are also three-day sports programs that run from Tuesday through Thursday in golf and tennis. This serious golf resort is ideal for bringing kids learning the golf game, or even adults new to the sport. Family tee times after 4pm are given with longer tee intervals, so novice golfers don’t feel rushed, and a family pays a $75 fee for nine holes. There are pizza putting parties on Friday nights and peewee clinics to introduce golf to those aged 4 through 9 on Monday and Wednesday nights. One of the kiddie pools at the Ocean Edge. There was a wine and chocolate tasting at the mansion for the adults, and I snuck away from my kids and husband to enjoy it. I brought some women, part of a girls’ getaway, whom I met on the terrace after taking their picture (I’ve always got the biggest camera around my neck). It was a pleasurable and civilized activity until my three-year old son found me, stuck his hand in a bowl of dark chocolate and put nearly every last piece in his mouth in under two seconds. As people watched on, I surrendered, “Please use the spoon, sweetie.” He moved on to the bowl of Hershey’s milk chocolate, grabbed a healthy portion with the spoon, and put the whole thing into his mouth. I placed the spoon inside one of the used glasses during our quick departure. We had dinner in the downstairs tavern surrounded by families. My husband and I each got a kale salad with grapefruit and shrimp that we both agreed was a flawless dish. After dinner I dragged my husband, a graying hipster but former lead singer in rock bands, to the family karaoke night as a “How much do you really love me?” test. We walked in to see several tween girls running around the ballroom or huddling over songbooks. I looked at him and thought, “I really love him,” so I said we could leave. I will get him to sing something from Frozen in public if it is the last thing I do. See the missing spoon? Guilty family. The next morning we enjoyed a sunny, breezy day at the beach, and I understood so quickly why Brewster is considered one of the best beaches of Cape Cod. The Brewster flats are long stretches of shallow water that warm up easily and contain a variety of marine life to examine. It happened to be clamming week, so my daughter bolted out to a group of clamming locals and joined them. Everyone was focused on their hunting, but a few people were kind enough to show her what to look for and measured what she found to ensure it was the right size. There are several pools on property; I lost count. My favorite, the Arbor pool is next to the golf club and has the Shark Bah for poolside eats and drinks and a small toddler pool. It does a good job of transporting you to Florida. There is an indoor pool attached to the Mansion, too, for the colder months as well, with a small fitness center next door. There is a larger fitness center on the Villages side for those needing more. 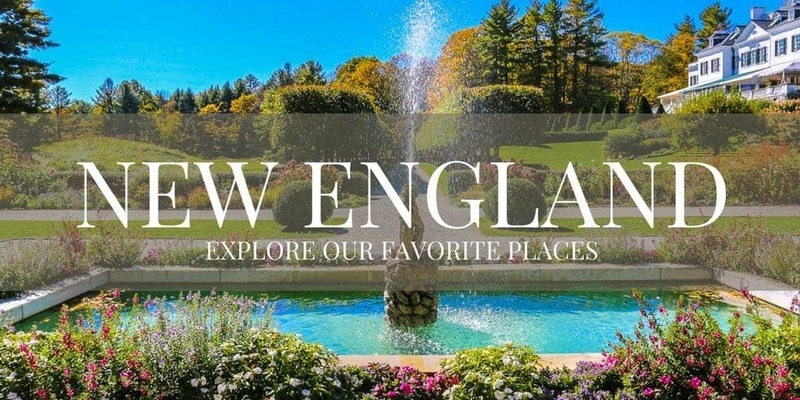 Brewster and its neighboring towns have many more family activities from go-karts to whale watches, so if the Ocean Edge doesn’t keep you busy every moment (and it will), there’s mini golf or a really old-fashioned general store nearby. Just don’t expect to eat early with your food-throwing toddler before the crowds at the local restaurants. This is a popular retirement community, and every restaurant we passed appeared to be doing well with the early bird special crowd. Clammers off the Ocean Edge beach. 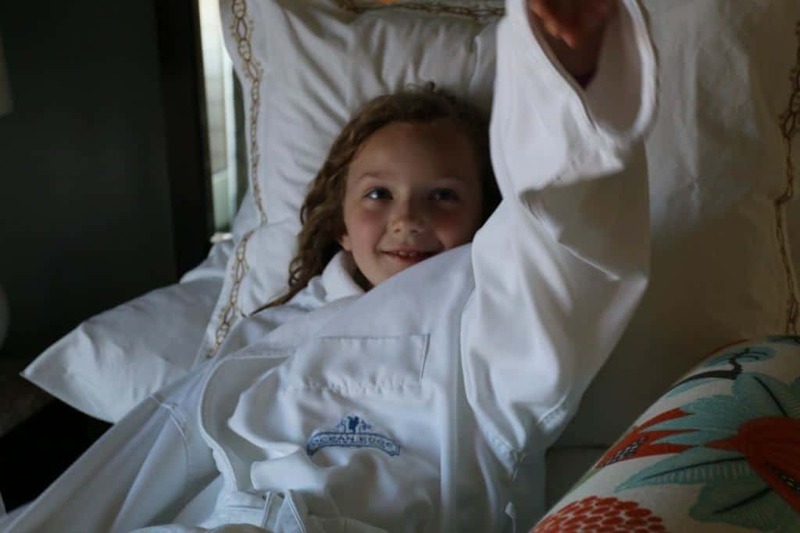 Our villa was so comfortable, and my daughter was also so in love with their robes that I couldn’t get her motivated to leave on our last day. A family really couldn’t experience all that the Ocean Edge offers in the summer without staying at least a week. The villas are expensive, but it certainly is cheaper than maintaining a second home there. Although we were guests of the Ocean Edge, these opinions are my completely my own. Check your dates for rates at the Mansion at Ocean Edge Resort. 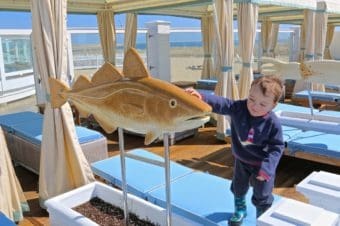 We avoid Cape Cod because of the crowds, opting instead for the North Shore, but the Ocean Edge resort truly looks like a great place to visit! Thanks for sharing your comments about the property! Subscribe to learn of new hotel openings and reviews! 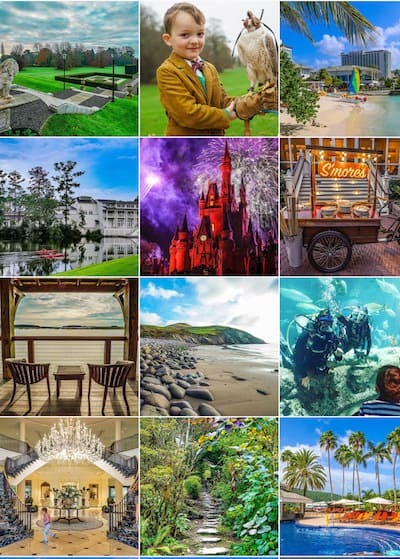 Robin loves showcasing exceptional hotels for families. After a magazine career in New York and Washington, she settled with her family in Boston. 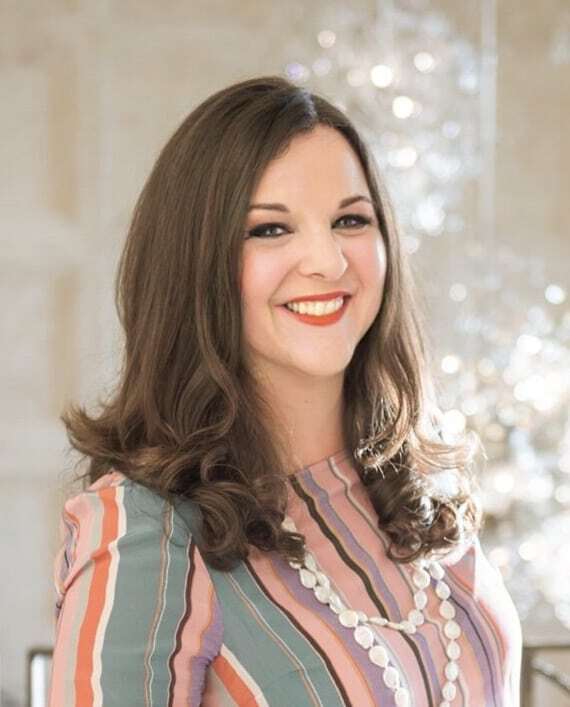 She launched Luxe Recess to help parents choose the perfect accommodations for their family vacations. Certain links on this site contain affiliates that may provide income to Luxe Recess. We promise that money goes to scouting more hotels for our readers. Can we inspire your family vacations? Copyright 2018 Luxe Recess, LLC. All Rights Reserved. Some links on this site contain affiliates that may pass income to Luxe Recess, LLC. Luxe Recess, LLC is a participant in the Amazon Services LLC Associates Program, an affiliate advertising program designed to provide a commissions by linking to Amazon products purchased. Luxe Recess is not affiliated with any Walt Disney companies. Luxe Recess provides travel itinerary planning services but is not a travel agent and does not book travel.